Paperback, 9.75 x 11 in. / 160 pgs / 6 color / 60 bw. Text by Denis Gielen, Joanna Leroy, Jean-Marc Prévost. 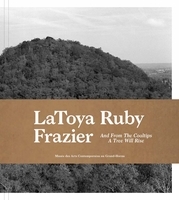 Photographer LaToya Ruby Frazier (born 1982) grew up in Braddock, PA, a borough in the American Rust Belt ravaged by the steel-industry crisis that hit the US during the Reagan administration. In this former bastion of the steel industry, the artist was raised in her Afro-American family, whose story she told in The Notion of Family. 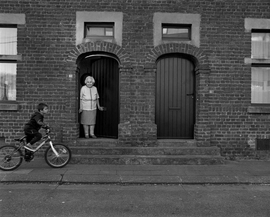 Her 2016 residency at Grand-Hornu allowed her to pursue her work on postindustrial society in Belgium, turning her camera to the Borinage, a mining region whose intense activity in the 19th century was diminished by a series of crises that led to the closure of the last mine in 1976. Testimonies gathered by Frazier from the former miners and their families have resulted in And from the Coaltips a Tree Will Rise, an extensive collection of portraits, landscapes and still lifes. FORMAT: Pbk, 9.75 x 11 in. / 160 pgs / 6 color / 60 b&w. Published by MAC'S Grand Hornu.